The computer pioneers will remember it good. 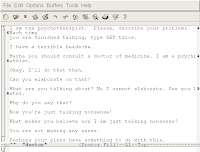 ELIZA, the computer psychiatrist, that randomly select some words that fit, more or less, to your typing, and makes sentences out of it. 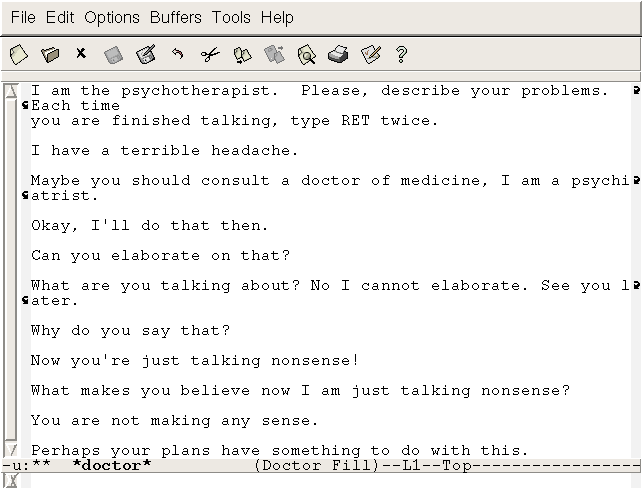 That's exactly how it feels when you make a conversation with SIRI. What a great achievement :). The original program from 1964 has finally arrived on smartphones. And it's like the original program. It doesn't make any sense. But like most Apple stuff, it's just a polished copy of something. So if you want the even more original stuff, you can grab the Eliza-App from the Android-Market and use it with the integrated Voice Recognition on your Android phone (which is integrated and working for over 1 Year now). Just don't make one of them your personal assistant. It could be really strange. Talking to your phone in public and getting weird answers from Siri... ummm, I mean, ELIZA.